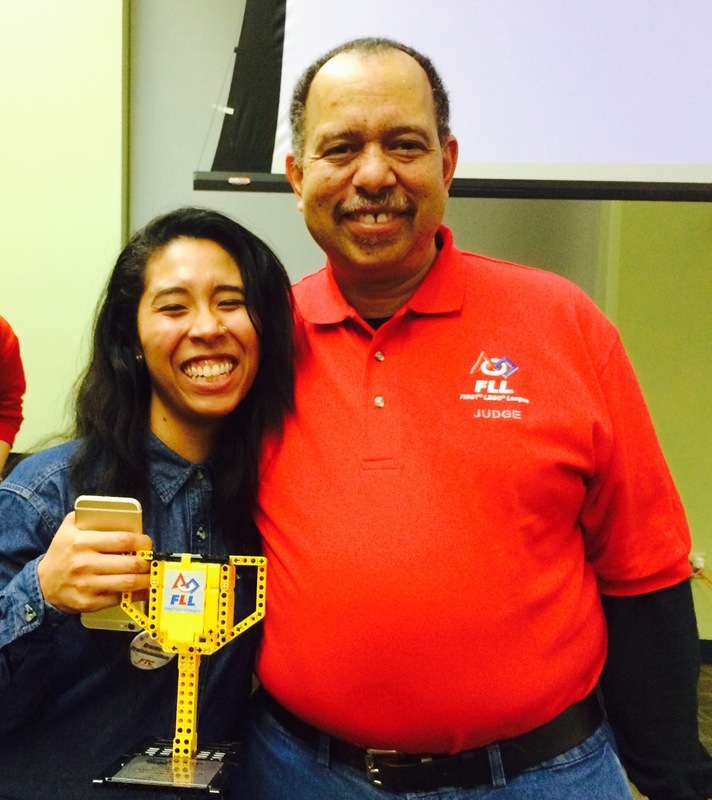 At Delaware’s FLL Champions tournament last February 14, China Genwright was recognized by FSFLL director, Eric Cheek, for the Championship Volunteer Award. Dr. Cheek explained that while this year was a major transition year with movement of leadership for FTC, FLL and Jr.FLL to Delaware State University and there was a lot to accomplish, his goal was to keep the momentum that was going from the years past. DSU alum and VISTA volunteer, China Genwright, fully embraced this goal and all three FIRST programs. She helped to bring FIRST programs to 15 of the 19 school districts in Delaware. She served as a judge in FTC and FLL events; coached students for FLL; served as a referee in one of the qualifiers; and when the head referee for the DSU qualifier became ill 2 weeks before the event, Deb Mousada– recently retired as head FLL ref– recommended China as the head referee for the DSU FLL qualifier. This entry was posted in News and events and tagged DSU, FLL, robotics, STEM, volunteer, youth by fsreditor. Bookmark the permalink.